What brings you to these parts? Are you being sponsored for worthy causes as you try to visit every group website of those that supported the 10,000 Maniacs in the late 1980’s. Or perhaps you are hoping for a lengthy disquisition detailing conversations I had with Peter Astor as we played to ever diminishing audiences in 1990 or 91. The crowds grew shorter as my fringe grew longer and pretty soon, ah but for that you’ll have to wait for my memoir. This one’s called Bin Bag Black Pudding. The last one felt ghost written by Ezra Pound, but these days I feel you can over do the carefully observed and described phenomena, whether emotions, sensations, or concrete entities. So this one is more anecdotal, concentrating mainly on larks , japery and cus words. The film that was once Memory & Desire, although nominated for “Best Micro-budget feature” at London’s Raindance Film Festival and for the “Sound & Vision” award at CPH:DOX Copenhagen International Documentary Film Festival in 2009, is still under creative construction and is currently six hours long. Since 2009 we’ve filmed a live performance with the scholars at Falmouth University, as well as last years concert at the Church of the Port Eliot Festival. At the time it was pointed out to us that we had the biggest congregation and the longest queue ever. But I’m sure they say that to all the turns and it was a bewilderingly and unfortunately wet Friday night. We’ve also cut out most of the περισσότερα ελληνικά και καταθλιπτικά τμήματα του Ezra Pound memoir and added some anecdotes and cus words from the new one. 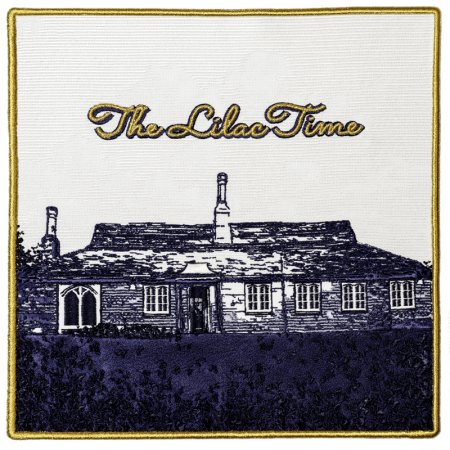 The tenth Lilac Time album Return To Us will be with you soon. As the pendulum swings away from record making and live performance dominates the world of “Alternative Rock” I find myself enjoying the sanctitude of the studio. Were once I used to release everything, at the moment we are releasing nothing. But it is unlikely this can go on for much longer and we will return with a six hour film memoir and sing songing expanding inevitable. Or the Devils will get back together.